Pocket-Lint made an interesting find yesterday on Amazon’s UK website. It looks like a new product listing was inadvertently pushed live earlier than planned. 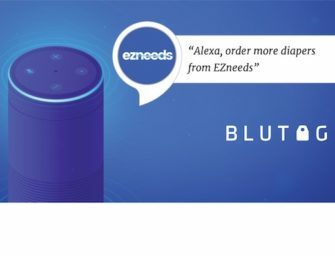 Based on the product listing, Echo Sub appears to be designed to supplement existing Amazon Echo smart speakers and is not an Alexa-addressable device itself. Instead it fills the biggest audio fidelity gap in the current Echo speakers, the bass range. Sub in this case is short for subwoofer and it is designed to be paired with an existing Echo or Echo Plus. Notably, Echo Dot is absent from that pairing list in the product description. It is not clear whether Echo Dot pairing is not supported or simply was left out of the product description. In addition, Echo Sub seems to introduce stereo sound pairing for Echo devices for the first time. The information is limited, but this doesn’t appear to be for the audiophile that is looking for the top-of-the-line sound quality. Those shoppers have a number of options that include additional bass range as well as higher end treble range outputs. This strikes me more as a way for Amazon to capitalize on the fact that music listening is the number one smart speaker use case and many consumers would be happy to simply augment the sound quality their existing Echo than replace it with a new device by a different manufacturer. The price point is also compelling. At £75 and presumably under $100 when listed in the U.S., the combination of an Echo and an Echo Sub will carry a priced tag of less than $200. That likely will put the bundle in the same price range as Sonos One and about 50-60% of the cost of a single Apple HomePod, Google Home Max, Bose 500 and the forthcoming Samsung Galaxy Home. Plus, it provides a new product sales proposition that can complement the tens of millions of Echo devices already sold by Amazon. Last year you bought an Echo for the home. Maybe this year you will buy an Echo Sub to make your existing investment better. We won’t have to wait long to find out more details about Echo Sub, the rumored Alexa microwave and other new products from Amazon. The company will be announcing the new product line at 1pm EDT / 10am PDT today in Seattle. Voicebot will be onsite and bringing you live updates via Twitter as well as posting articles here. To get the Twitter updates be sure to follow both @voicebotai and @bretkinsella through the buttons below. More to come.